Join us for #MGBookMarch 2019! Time for our 2nd annual #MGBookMarch!! As a kid, I got an early start to reading. Not because I was some prodigy, I just wanted to do everything my big sister could. And anyway, I quickly discovered that I loved reading. Mom would send me to my room to clean it and find me hours later tucked in a messy corner with a book. By the time I was picking my books out myself, a definite trend emerged. I loved The Book of Three. I was fascinated by A Wrinkle in Time. By the end of middle school, I’d read every single book in Anne McCaffrey’s Dragonriders of Pern series. In early high school, I discovered Robin McKinley and never did fall out of love with her imagined worlds. I think I was drawn to fantasy literature for a bunch of reasons. To escape? Sure. To have an adventure? Absolutely. Because dragons are super-cool? Yes. But also, the reality of everyday sexism hit middle-grade-me like a kick in the teeth. If you ask me, fantasy’s greatest power is its unique ability to expand our understanding of what’s possible. And I’m not just talking about portals and magicians and tesseracts. If a writer is creative enough, those imagined worlds don’t need to share this world’s failings. Racism, sexism, homophobia—all of it can be transcended, or better yet, in the pages of a book, a reader can step into a world where they never even existed. Or, speculative fiction can offer a razor-sharp critique of our society’s ills. The canon has a lot say about repression and bigotry, fascism and propaganda, bullies and the everyday kind of people who stand up to them. The Lighthouse between the Worlds is first and foremost a fast-paced adventure story with a good dose magic. But it also looks at the terrifying consequences of forfeiting independent thought. As much as it’s about hopping a portal between worlds, it’s also about the tension between isolationism and diverse coalitions—something we’re wrestling with today on a global scale. I wish I could say that nothing got in the way of my love affair with fantasy lit. But that’s just not true. In those later high school years, in the doldrums of reading all those “important” required texts, I got the message that the stories I loved most weren’t worthwhile. I remember vividly one time when my lit teacher let us choose our own book for a report. And what did I pick? This long, boring book for adults about Aaron Burr. I hated that book the whole way through. So why did I pick it? Because I thought my history teacher would be impressed. Before I knew it, I’d stopped reading fantasy. It wasn’t too much later that I’d stopped reading for fun altogether. How did that happen? More and more, I see teachers online standing up for their students’ reading preferences, validating all kinds of readers and all sorts of texts, finding really creative ways to pair books to broaden learning, to build empathy, and to celebrate reading for reading’s sake. Educators are pushing back against practices that sap the joy out of reading. And every time I see that, I’m over here, fist-pumping, celebrating that those kids have a teacher like that in their corner. Fast forward to my first year in college. I was in the University library attempting to study for a test on parasites. Yuck. I kept reading the same paragraph in my textbook over and over again, but remembering nothing, so I thought a change of location might help. What I discovered on the next floor up was a hip-high segment of bookshelves just for Children’s Literature. I remember sort of looking around, befuddled, like, what is this doing here with all the “important” books? And then I spotted the spine of a book I’d know anywhere. It was The Hero and the Crown by Robin McKinley. I ditched my textbooks and spent the rest of the day joyfully immersed in that familiar story. Now, I write books for all kinds of reasons. I’m hugely passionate about my YA historicals Audacity and An Uninterrupted View of the Sky. I’ve never had so much fun writing a novel as I did with last year’s middle grade contemporary, Three Pennies. But there’s something special in it for me when I write a work of fantasy. It’s like I’m writing to that pre-teen me, right before she let herself be convinced that her favorite stories weren’t worthy. It’s like I’m reaching back through time to whisper in her ear: Look, this thing that brings you so much joy? Hold on tight. Don’t ever let it go. Audacity, Three Pennies, An Uninterrupted View of the Sky, A Nearer Moon and Parched, as well as the new middle grade duology The Lighthouse between the Worlds. The sequel,A Way between Worlds, releases Oct. 1 of this year. Melanie’s books have been awarded the Jefferson Cup, the Arnold Adoff Poetry Award, the SCBWI Crystal Kite, and the Bulletin Blue Ribbon; they have been recognized as a National Jewish Book Awards Finalist, Walden Award finalist, Colorado Book Awards Finalist, Junior Library Guild selection, YALSA Top Ten Books For Young Adults, ILA Notable Book for a Global Society, Parents’ Choice Silver Medal, BookBrowse Editor’s Choice, BookPage Top Pick, and The Washington Post Best Children’s Books for April. Her work has been listed as Best Books of the Year by Bank Street College, Kirkus Reviews, The Amelia Bloomer List, New York Public Library, Tablet Magazine, A Mighty Girl, and The Children’s Book Review. The author lives under the big blue Colorado sky with a wife, two kids, and one good dog. Visit her online at www.melaniecrowder.com. First off, Kim, thank you for stopping by the MG Book Village to celebrate the release of Bone Hollow and to chat about the book. Before we get to the new book, would you care to introduce yourself to our readers? Thanks! I’m so excited to be here. First off, can I just say that the whole MG Book Village crew is totally amazing! Second, a little about me. I’m a lover of weird, whimsical stories of all kinds. And dogs! My dog is definitely my best friend! 🙂 I’ve held a variety of interesting jobs, including children’s librarian, scare actor, Peace Corps volunteer, French instructor and overnight staff at a women’s shelter, but my favorite job title is author. My first book, Skeleton Tree, came out in 2017, and I’m super excited for the release of Bone Hollow! Okay, on to the book – Bone Hollow. Can you tell us a little about it? As you can probably tell from the titles, Skeleton Tree and Bone Hollow share a similar aesthetic. They are set in the same world, but Bone Hollow is actually a stand-alone novel featuring a brand-new set of characters. In Bone Hollow, readers will meet 12-year-old Gabe and his dog, Ollie. Gabe does his best to please his guardian, Miss Cleo, even if she does prefer her prize-winning chickens to him or his dog. When Miss Cleo’s favorite chicken gets stuck on the roof during a storm, Gabe knows he has no choice but to rescue it. It’s either that, or get kicked out of Miss Cleo’s house for good. He climbs up, despite the wind, and the rain and the angry clouds that are just about screaming, Tornado! Next thing Gabe knows, he’s falling. He wakes up in a room full of tearful neighbors. It’s almost as if they think he’s dead. But Gabe’s not dead. He feels fine! So why do they insist on holding a funeral? And why does everyone scream in terror when Gabe shows up for his own candlelight vigil? Scared and bewildered, Gabe flees with Ollie, the only creature who doesn’t tremble at the sight of him. When a mysterious girl named Wynne offers to let Gabe stay at her cozy house in a misty clearing, he gratefully accepts. Yet Wynne disappears from Bone Hollow for long stretches of time, and when a suspicious Gabe follows her, he makes a mind-blowing discovery. Wynne is Death and has been for over a century. Even more shocking . . . she’s convinced that Gabe is destined to replace her. Your books tend to have spooky elements—all these bones and skeletons. Would you describe your books as scary? I love, love scary stories! But I like to think of Skeleton Tree and Bone Hollow as spooky, rather than scary. They certainly have macabre elements, but they fit much more in the arena of magical realism or contemporary fantasy than horror. I love to sprinkle a little spookiness into heartfelt, sometimes sad, stories that focus on characters going through difficult times, but ultimately coming out with a renewed sense of hope in the end. You helped launch Spooky Middle Grade, a “ghoulish group of middle grade authors that believe spooky books can be read all year long.” How did that all come about? It was a dark and stormy night. Thirteen strangers arrived at a haunted mansion… Okay, maybe it wasn’t quite so dramatic. Basically, I stumbled upon a Facebook ‘support’ group that had just been created for spooky MG authors. I joined, we started talking, we all got really excited about spreading the joy of spooky stories, and the rest is history. My favorite part of the group is that we’ve found a meaningful way to connect with students through our free Skype visits, and I feel like we’re having a positive impact and hopefully inspiring a whole new generation of spooky writers. Can you tell us about the multiple-person Skype visits the Spooky MG crew offers, and also how interested educators and librarians can set one up? Absolutely! I have teamed up with, at last count, thirteen spooky middle grade authors to offer free Skype Q&As to schools across the country. We have done over fifty since November! The response has been tremendous. Each Skype visit features four spooky authors, and we answer students’ burning questions about writing, publishing, our pets. You name it. Bonus feature: if your students have leftover questions, we’ll answer those in a video on our new YouTube channel. To sign up for your free Skype (or Google Hangout), head over to https://spookymiddlegrade.com/free-skype-qa/. Speaking of librarians – before you became a full-time writer, you were a children’s service manager for a public library system, right? Did that work inform or influence your work as an author in any way? I was! I have been a children’s and/or teen librarian for most of the past ten years (when I wasn’t in the Peace Corps 🙂 ). My favorite part of being a librarian was actually leading programs for young people, because I got to do everything from science experiments, to Doctor Who parties, to Minecraft Club and on and on. It was the perfect outlet for my artsy side, and, of course, I also had the pleasure of connecting young people to great books. In terms of informing my work, being a librarian definitely helped me build a strong knowledge of children’s literature, and it also gave me the opportunity to see first-hand what gets kids excited about reading. Before I let you go, let’s get back to the new book, and to a few of the questions I try to ask all our guests. What do you hope your readers – in particular the young ones – take away from Bone Hollow? Mostly, I hope they enjoy traveling along with Gabe and Ollie as they enter the mysterious world of Bone Hollow. On a more serious note, I’m always wanting readers to come away with a new perspective on life or, in this case, death. Like with Skeleton Tree, I’ve tried to create an engaging fantasy world filled with humor, whimsy and many light touches, but I’m also wanting to explore darker topics to show that there can be light and beauty there as well. Loss is one of those things that even very young children encounter, often with the loss of a pet or grandparent, and one of my goals is to help young readers develop a framework for processing their feelings surrounding death that acknowledges the sadness, but also opens the door to hope. Many of our site’s readers are teachers of Middle Grade-aged kids. Is there anything you’d like to say to them – in particular those planning to add Bone Hollow to their classroom libraries? I strive to always make myself available to teachers and librarians in any way I can. I love connecting with students and, if you have an idea for a way that we can collaborate, please, please don’t hesitate to reach out. One final thing: to celebrate my book birthday, I’m having a BIG giveaway for teachers and librarians! To enter to win a classroom set of Skeleton Tree and 5 copies of Bone Hollow, head over to my Twitter account! The MG Book Village has been fortunate enough to host a number of wonderful cover reveals in the year or so since we’ve launched. Today’s reveal, however, is extra special. M.G. Velasco approached us about hosting his reveal a while back, but being the awesome, thoughtful person he is, insisted we hold off until he’d had a chance to share the cover art with his #KidsNeedMentors class, taught by 6th grade ELA teacher Ginger Schwartz — he wanted them to be the first ones to lay their eyes on it. (To learn more about the #KidsNeedMentors, click here and here.) Then M.G. had an even more awesome, thoughtful idea — to put the kids of his #KidsNeedMentors class in charge of his whole cover reveal interview! They’re his audience, his future readers — it makes more sense for them to be in charge of the questions than for me to be! Below is a little more info about M.G.’s upcoming debut, Cardslinger, and below that the interview by Ms. Schwartz’s students, and below that the big reveal! A dangerous quest, a lost treasure, and the card game that started it all. Why did you decide to become a writer? What made you want to write books? Ah, this answer can be a whole blog post in its own… But the short of it is: I write because my story ideas must go somewhere, and without that creative outlet, my head would go nuclear. But it’s more than a release, it’s pure joy. I get to play with words and craft them into a story, likely with explosions. The characters are mine, running wild in my world and getting into all sorts of mischief. The story is an extension of me, and every time one swirls in my head and leaks onto the page, it’s amazing. Only if you don’t love it. Writing can be difficult and frustrating. It’s mostly done in solitude with nothing but the words in your head and the screen blinking at your face. Sometimes you can’t find the right words and the page remains blank. There are days when nothing seems to get done and you feel like you’ll never reach the end. There will be people who won’t love your characters and stories, and you’ll feel like such a loser. But with all that gloom, there’s always the good. The words will flow and it’ll feel great. People will “get” what you right, and that writer-reader connection is worth more than gold. In order to take the good with the bad, the easy with the difficult, you have to love writing, and then all the time and effort and difficulty will be worth it. How did you get the idea for Cardslinger? I wanted to write an adventure story about a kid who loves to play games. I was into a card game called Magic: The Gathering at the time, and that kind of game seemed perfect for the story. It became a Western because of its wild and free setting, but instead of gunfights at high noon, there are card game duels. Also, Homer’s The Odyssey played a big part in my idea, and classical mythology fit naturally with the time period. It was their Harry Potter of their day, maybe. Is there a sequel to Cardslinger? In my head there is. What would you write about in your free time? Anything fun, typically something with explosions. How long did it take for you to write Cardslinger? For the first draft. Maybe three months. For the polished manuscript. Three years. In Cardslinger, who is your favorite character and why? Really? I have to chose a favorite? If I must, it has to be Shuffle. He’s a gamer. He uses his smarts instead of his fists to get out of a bad situation. He thinks about strategy and gaming. He loves his family and friends. He’s kinda funny, too. The one I’m currently reading. 😉 Of all time? I would say a Roald Dahl book, maybe James and the Giant Peach. Or his collection of hilariously, dark fairy tales and short stories: Revolting Rhymes. Do you write in silence, or do you have background noise? First drafts are usually done in silence. Revisions are done with music. Yes. Sometimes it’s only a hundred words. Sometimes two-thousand. If I’m not writing, I’m editing. How do you plan your book? I’ll come up with a character or a story. Then the plot, which I’ll draft in a three-act line graph of sorts. I’ll outline it, then come up with an early synopsis of the main story points. One of the biggest parts of planning a book is the character creation. All the characters need to be well-rounded and developed before they see the page. Their traits and flaws, likes/dislikes, family and friends, strengths and weaknesses need to be realized. Once I have a good cast of characters and a decent plot, I hash out a first draft, which will eventually be cut up, hammered, added-to, and molded into something, hopefully, you’ll read and enjoy. Thank you, Ms. Schwartz and students, for the fun interview! It’s a joy to reflect on being an author. And big thank you to Laura Westlund and Kim Morales and the design team at Carolrhoda/Lerner books. It couldn’t have come together so beautifully without y’all. Giddyup! I’m an author, a reader, a counselor (in a school setting), and a mom. I learn so much by watching (and reading) the books my kids pick up. My two middle boys beeline it to anything with illustrations. Based on what I’m seeing in kidlit circles and school classrooms, they’re not alone. Graphic novels and illustrated novels have huge appeal amongst this generation of readers. Interestingly, my oldest son was a new reader before this wave of graphic novels really surged. So as a middle grade reader, his book choices were often traditional text. I wondered if there was a way to write a novel with traditional text, but that incorporated a graphic novel thread. My hope was to increase appeal to additional readers. My character, Blake, arose from this thought. He’s a unique learner, a bright student, talented artist, but a student for whom the traditional classroom environment is sometimes challenging. There are so many types of learners in today’s classrooms. I’m impressed by the skill I see in teachers who find a way to reach a variety of different learning styles. I wanted a forum to weave this skill into my storyline. Having Blake illustrate his entries brings a new element to the storytelling process. The brilliant illustrator, Gina Perry, was able to convey a range of emotions and themes through her artwork. See below for an example. The emotions speak volumes. I hope this additional modality of story sharing can reach more readers, and that some readers can use Blake’s storyline as a window (for some) and a mirror (for others). I’m a huge fan of illustrations and their power on the reader. I sit in awe and wonder, because my pencil doesn’t do that. I’m indebted to the skill, time and heart that illustrator Gina Perry put into her work for this project. It’s . . . Frog-tastic! And she’s pretty Frog-tastic too! Jarrett: A wise (and funny) person once said that “humor can be dissected, as a frog can, but the thing dies in the process and the innards are discouraging to any but the purely scientific mind.” And so, today, on the book birthday of my new and hopefully humorous novel, Revenge of the EngiNerds, I thought it might be fun to ignore this sage advice and do some dissecting. Thank you, Kathie and Corrina, for bravely taking part in this ill-advised endeavor! Kathie: I appreciate the opportunity to be part of the conversation, however ill-advised it may be! Corrina: Oh my — LOL! A pleasure to be here! Jarrett: Humor has always been important to me. In a way, it’s what got me hooked on books and reading in the first place. I still remember every book that my fourth-grade teacher, Mr. Lombard, read aloud to our class — novels like The BFG and There’s a Boy in the Girls’ Bathroom — and some of my most vivid memories are of listening to him read aloud. Mr. Lombard chose a wide variety of books as read alouds, but all the books contained humor to some extent. And when he came to a humorous part, Mr. Lombard would laugh… and laugh and laugh and laugh. And he had one of those infectious sorts of laughs, and so sooner or later, the whole class was laughing along with him. For me, such experiences drove home just how joyful books could be, and also how reading could be a total blast, and how it could bring people together. I’m curious: what are your relationships with books that might labeled humorous — as kids, as adults, as a librarian and a teacher? Kathie: I don’t remember reading a lot of humorous books as a kid. I missed many of the classics by authors like Roald Dahl when I was growing up, and so I didn’t come to humorous books until I was an adult. I had a preconceived notion that funny books equaled potty humor, slapstick comedy, or miserable adults making life hard for children, and had little depth (yeah, I know it’s harsh and unjustified, but it’s what I thought). I just didn’t think funny books were “my thing”, but I challenged myself to read 10 of them last year to see if those stereotypes held up. Boy, was I wrong! There are some absolutely wonderful humorous books out there for young readers, full of depth and tackling real topics and issues in less serious ways. Fenway and Hattie by Victoria J. Coe was the first book that convinced me that yes, I actually had a funny bone, I just need to find the kind of books that tickled it. I ALWAYS use funny books at preschool storytime, because I have no fear of being silly, and it helps to bring little ones of their shells. Corrina: The humor reading that I did as a young child was mostly comic strips. I had all the Calvin & Hobbes collections, and when I visited my uncle’s house, I’d often snag all his Garfield and Far Side books and curl up in a corner reading while the adults talked (and talked…). I never sought out what I considered “silly” books, but loved books like Superfudge that had a lot of heart and humor wrapped up in a realistic story. As a teacher, I love sharing a read aloud that will get my students (and myself!) laughing! We’ve read selections from Funny Girl, Fenway & Hattie, and picture books like Mr. Tiger Goes Wild. Jarrett: As a book-creator and someone who works with kids, I also find that humor can be such a powerful tool both for getting kids reading and then keeping them reading. Kathie: Books such as Captain Underpants or the Diary of a Wimpy Kid series are HUGELY popular in my library (and I can’t remember the last time I saw our copy of EngiNerds on the shelf because it’s constantly being checked out!). They are the most reread titles, and kids keep coming back to them over and over. Sometimes it’s the only books certain kids will pick up, and I tell parents to let them keep reading them. I also find humorous books are wonderful for dominant or developing readers, because they’re playful and don’t feel like as much “work” to read as some other book for kids who don’t yet love to read. Corrina: Absolutely! Books with a lot of humor, especially graphic novels and those with a lot of illustrations like Dog Man or Frazzled are HUGE hits with my 5th graders. And I’ve found that kids will often read a funny book in between longer, more serious books as a “palate cleanser.” And for kids who are going through a tough time, humorous titles can offer a mental break. Jarrett: Yes! Though at the same time, humor can be so much more than a momentary laugh. Humor is, I think, a lens — a whole way of looking at the world. And it’s the authors who have that humorous lens who I tend to gravitate toward, whose work I fall in love with. And this doesn’t mean their stories are lighthearted — far from it. I find that some of the funniest books are often the darkest and most severe. Geoff Rodkey’s upcoming We’re Not From Here is a great example. It’s premise — that Earth gets blown up and the majority of humans move to Mars, where they live (barely) on borrowed time as they search for a new permanent location elsewhere in the galaxy — is perhaps as dark and dire as it gets. But it’s hilarious. Kathie: Sometimes, those serious topics need to be viewed through the lens of humor so that they’re not so intense, and can be more easily processed. Humor also injects hope into dark subjects. You address some serious topics in Revenge of the EngiNerds, such as feeling different from others and like you don’t belong, but the way in which you do so doesn’t feel judgmental or preachy, partly due to the tone. Jarrett: Exactly! Humor is the HOPE tucked into darker, or even just more serious, subjects. In the EngiNerds books, I tackle some “bigger” issues surrounding friendship. If you care for someone, do their problems become your own? What do you do when a friend is set on doing something wrong? How do you navigate a disagreement that splits a group of friends? Can two people grow up without also growing apart? I think these are all important, productive questions for kids to consider, both within the space of a book, regarding fictional characters, and also in their own lives. But there are kids out there who wouldn’t be game for such consideration and reflection without there being a hefty dose of humor involved. Though don’t get me wrong — I definitely don’t think of humor as the sugar that makes the medicine go down, or anything like that. I mostly write humor for humor’s sake, because I love it, and believe in it. Really, humor is the only way that I, as a writer, can approach bigger, tougher topics myself. Corrina: We’re Not From Here is incredible! And some of the most loved books in my class are a mix of dark and light – like Ms. Bixby’s Last Day, Restart, Ghost, or Insignificant Events in the Life of a Cactus. Jarrett: I think the darkest situations actually contain the most comedic potential. Lots of creators know this, and use it to their advantage. Humor is the great leveler — it can quickly and effectively create common ground, and can reduce the distance we feel between ourselves and others. Think about it. Have you ever been in public, and something funny happens, and you share a laugh with a stranger? It creates a connection. A bond, however fleeting. After that shared laugh, you’re far more likely to strike up a conversation with them. You’re closer to them. Humor is disarming, both in real life and in books. It makes us — as people, as readers — open ourselves up a bit wider, feel comfortable being a little more vulnerable than before. If they’re smart, an author will hit you with something decidedly unhumorous after going for a laugh. You’ll feel it that much more. Jerry Spinelli is a master at this, and more recently, Dusti Bowling — and Corrina, I’m sure your students who are fans of Cactus will agree with that! Her books can be as hilarious as they are heartbreaking, and I think they’re heartbreaking in large part because she is so deft with her use of humor. On another level, I think that searching for the humor (or lightness) among the darkness is a profoundly hopeful, important act — whether you do it as an author or just as a person in your everyday life. And that, I think, is a pretty good note to close on. Thank you again, Kathie and Corrina, for joining me to talk about all this. I can’t think of a better way to spend my book birthday! 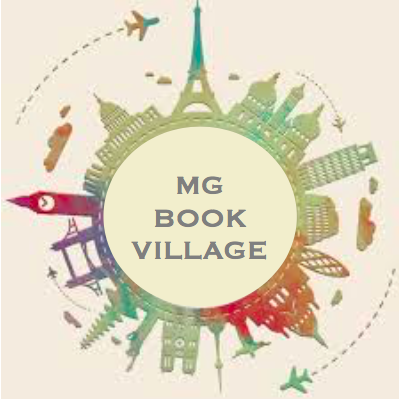 Jarrett, Kathie, and Corrina are administrators of the MG Book Village. You can learn more about them here.